Announcing Our 2018 Destination Photo Shoot!! ONE MODEL SPOT JUST OPENED UP!! Every year we either do a workshop for photographers OR a destination shoot for clients somewhere magical. Over the years we have met so many adventurous, fun loving women that we have decided to do something a little different for 2018. 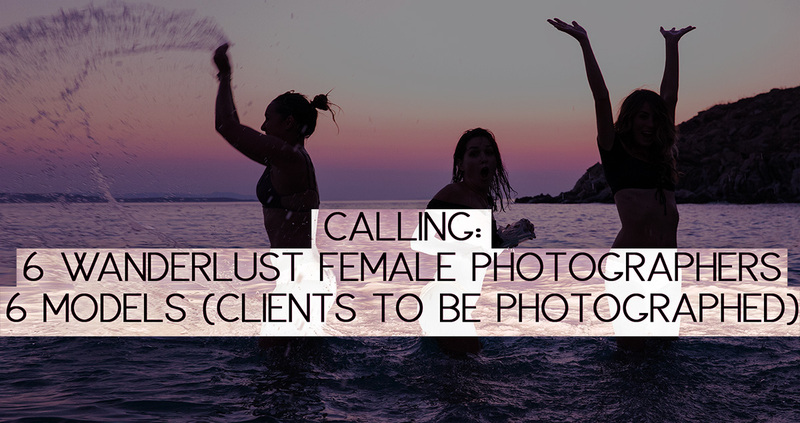 Calling wanderlust, travel-loving ladies who want to go on a photo expedition and have A BLAST creating imagery. Must be in love with art, excited to make new friends, love adventure (i.e. not too terribly scared of foreign countries), and be ready to have fun! (unless we/you find a replacement for your spot). Official launch and more details on December 15th at 3pm pst. Sorry boys, we love you but this is ladies retreat as accommodations are party/slumber party-ish. We will do a launch reminder via email so be SURE you are on the list, scroll down for sign-up!! If you really want this be ready to grab your spot! Relax and get acquainted with snacks and cocktails. Draw straws for bed accomodations. Photographers: Classroom style instruction. Shooting, exposure, posing and expression. Morning off. Draw for beds again, if there are sofa beds. 1pm-7pm Catamaran Photo Excursion! *Due to factors out of our control we may have to find something equally cool, but the trip is currently confirmed. Dinner on your own. We will have a car service listed for you if you want to venture to town (we understand it’s about 20 minutes away) with a buddy. *Itinerary and accommodations subject to change. Flexibility is key to a good time. Understand that we have packed this schedule with fun, so that if one or two activities don’t work out, we still have plenty of others planned to insure a good trip! *Self service meals mean that we will have plenty of groceries for sandwiches, continental breakfast, etc. If you have dietary restrictions we will do our best to accommodate you. – we’ll be drawing for bed spots, mostly solo bed accommodations except for a few shared, mid week we will draw again and change it up. GRAB THE ONLY SPOT LEFT HERE!!!! Monthly payment invoices will be sent on the 15th of each month. We do have to charge sales tax because we are creating a video and images, we will be charging it only on your last payment which we will be invoicing for the “products” the rest of the fee is the trip itself. Sales tax will be $116. Model (Photographed client)- SOLD OUT! Balance of the trip due by April 15 2018. Be sure to be notified by email when it launches on the 15th!! If you really want this be ready to grab your spot. I don’t really think of myself as a model. Will I be uncomfortable booking the model package? We have fun calling our clients models, but really this is for the every woman. You don’t have to have had a photo shoot with us in the past, or have experience in front of the camera. This actually isn’t about looks, this is about owning your moment. Don’t you worry, we will be teaching our photographers how to coach you through every bit of the photo shoot. This will actually be one of the most liberating experiences of your life. Every woman has cellulite, let it go. Every woman feels awkward in front of camera, let it go (we’ll help you). Every woman deserves to have some time in the spotlight and open themselves up to feeling good in their own skin. What level of photographer is this for? As long as you have a DSLR camera, a lens that can open up to at least f/3.5 and you love portraiture, this is for you. Beginners welcome. While this isn’t an intensive workshop by any means, this is more of a photographer led photo expedition, there will be plenty of time to help you become more comfortable with your camera and portraits in general. Plenty of time for questions, critiques, demos, etc. 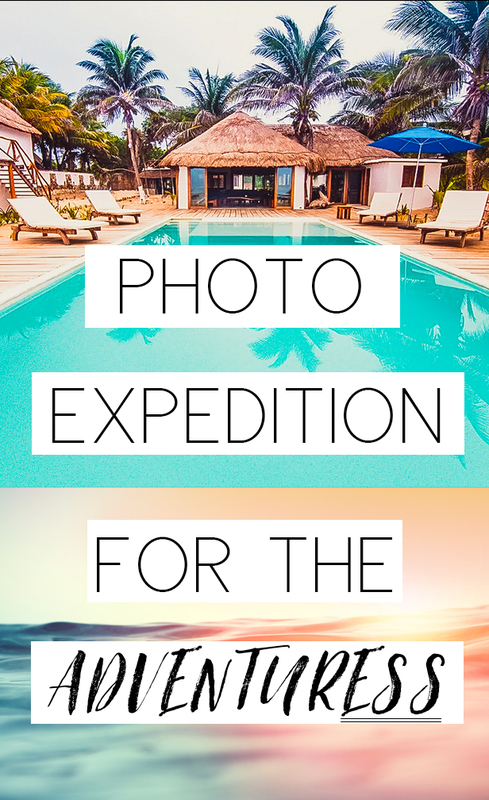 If you are an advanced pro photographer, this trip is completely for you. How often do you get a chance to go from awesome location to location with styled models/clients? If you have been wanting to show off more in your portfolio, to get more clout, or get into the destination photo shoot world, this is for you. What if it rains the entire week, or nature has some other plans while we are there? We will improvise and make the very best of it. Rain is unlikely during that time, so we have that going for us. Sometimes things don’t work out as perfectly as we hope. But we plan to still make the best of it no matter what! Why do I have to have travel insurance? Life can happen at in-opportune times. So can Mother Nature. Travel insurance insures that if anything big happens, you will be refunded. We have a strict no refund policy on the package price price simply because this is a HUGE investment of time and finances for us. Unfortunately one person missing the trip impacts us. Why are all the payments non-refundable? What does transferable mean? Again, there are no exceptions. Unless you get someone to go in your place. We have a strict no refund policy on the package price price simply because this is a HUGE investment of time and finances for us. Unfortunately one person missing the trip impacts us. Transferable means that you can come to San Diego instead and invest in one of our one-on-one consultations instead. Do I have to sign a model release? You do. Photographers and models will be signing model releases because we will all be posting on instagram etc. And we want to use these images from promotion. However, models, you and your photographer can chat if you want to keep some sassy images private. As a model, I’m worried that all my photographers might be newbies and I won’t get good shots. What are your thoughts on this? My team will be paying close attention to that. We have been doing these photographer events though and have never come across this as an issue. No hard feelings on the newer photographers, you are absolutely welcome on this trip, however if we notice that you may not be getting the next level images we want you to get. We will step in and make sure you do. And we will be making sure the photographers are dramatically improving the entire trip. My team and I will also be photographing you A LOT throughout the photo expedition. I’m really excited about the house? Is it luxurious and on the beach? We booked a nice rustic home on a private beach with a pool. However, that is not what you are investing with this trip. As outside circumstances could always force us to find a new place, and we would do our absolute best to insure it’s as good. I want my own room and my own bed? Is this possible? Because we can’t guarantee that the sleeping accommodations won’t be exactly as described in the rental listing, we can’t offer people specific rooms/beds before hand. We will be drawing for beds on the first day, then switching so that if some are better, everyone has equal nights in the better spots. We have planned ahead for new sheets on each spot. What are the photographer requirements? Send each model 50+ proofs to download for their use 3 weeks after the trip. What are the model requirements? To give each photographer (only if you really liked them or their work) a testimonial. To always tag them and us when you post an image. Where is the house that we are staying at? It’s North of Playa Del Carmen. We will be giving you the exact address when we get closer to our trip. If you book we will send you the VRBO link. I want to bring my friend, is there a way she can stay with us? It doesn’t seem as though our house that we are renting will have A/C. 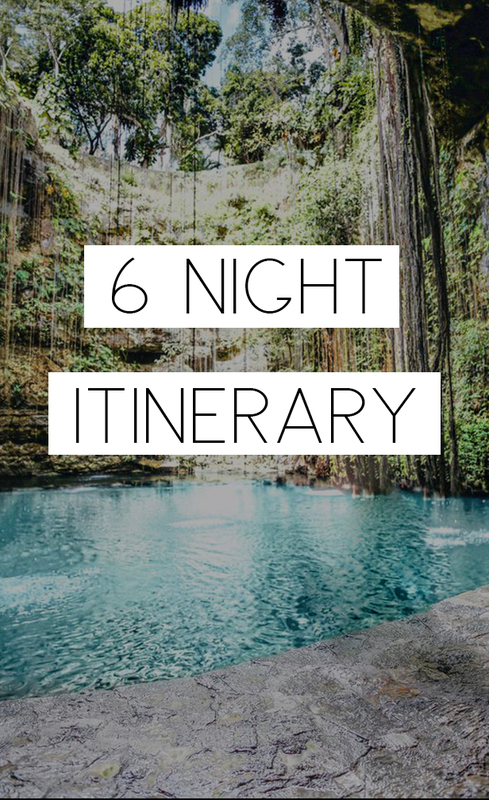 If the ocean breeze isn’t enough to make you comfortable at night, this may not be the adventure trip for you. You must be in generally good health for this trip and able to get around fairly easily, we will be trekking to locations in some instances. Nothing too hard of a workout, but mobility is important. And in some instances it will be very hot. Speaking of not luxury…. this is an “after we (or the cooks) makes the dinner you wash and dry your own plate and put it away” kinda trip. Hope that’s okay. Team work makes the dream work!!! This is for the person that loves travel, and is flexible. We will be busting our butts to make sure things run as smoothly as possible, but this is a chill party/adventure. If you get grumpy when things don’t go 100% according to plan, I assure you group travel with all women is probably not for you lol. There’s always one person we have to wait on on trips like these, and if you might let it ruin your day this trip just may not be for you. This will hands down, be one of the most exciting and memorable weeks of all of our lives!!! We are SO ready! Are you?